UK music industry figures have welcomed the European Parliament’s decision to pass changes to EU copyright laws which intend to update them for the digital age. MEPs in Strasbourg voted by 438 to 226 to back a report aimed at protecting the rights of the authors or creators of songs, books, films and other media. One of the approved proposals, known as Article 13, called for large companies such as Facebook and YouTube to be accountable for copyrighted work uploaded by their users. 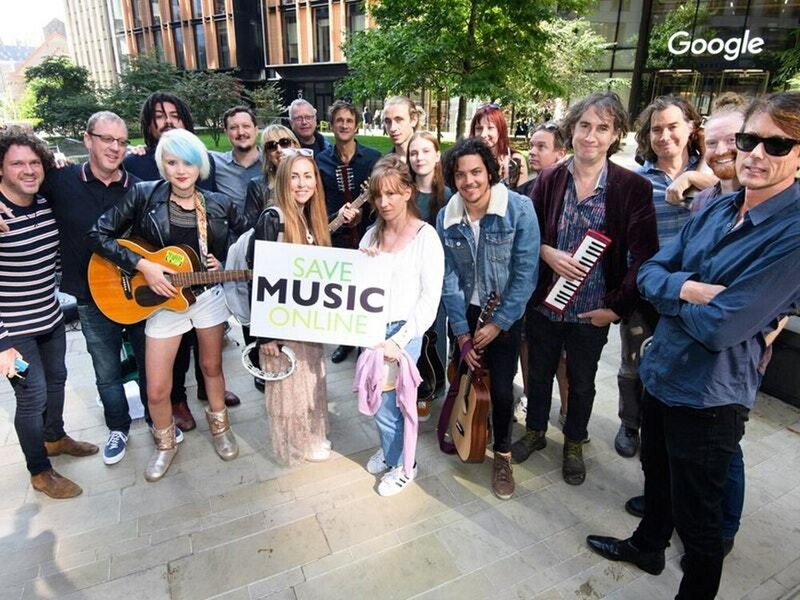 A brilliant day and tremendous achievement for creators/the UK music industry as the #CopyrightDirective is adopted by European parliament – 438 votes in favour, 226 against and 39 abstentions! ?? Record labels and musicians have been campaigning for the changes which they see as a vital in insuring artists are compensated fairly for the use of their work. The EU Copyright Directive will now be discussed by the European Union Council, Commission and Parliament to negotiate a final text for passage into law. It will then be put to a final vote in January with the changes expected to be approved. Geoff Taylor, chief executive of the British Phonographic Industry and Brit Awards, said: “This vote is great news for music fans and for anyone who values exciting and original online entertainment. “It’s an important step towards creating a fairer internet that encourages and rewards creativity. Robert Ashcroft, chief executive of PRS for Music, added: “The European Parliament today took a bold step forward to ensure a functioning and sustainable digital single market for creative content. “PRS for Music has fought from the beginning for digital services to pay all creators fairly for the content they use. The proposals in the directive had been updated after previously being rejected by MEPs in a vote in July. The block followed a campaign from freedom of speech campaigners, who argued the laws could lead to even greater control over the internet. This was despite the proposals attracting the support of numerous musicians, including Sir Paul McCartney. Sir Paul said in an open letter that the changes would force upload platforms to pay songwriters and performers fairly for use of their work. Former Fugees rapper Wyclef Jean is among the high-profile musicians to campaign against the proposed changes, saying they will have a negative impact on creative sharing of content online including remixes. A spokesman from Google, who owns video-sharing site YouTube, said: “People want access to quality news and creative content online.